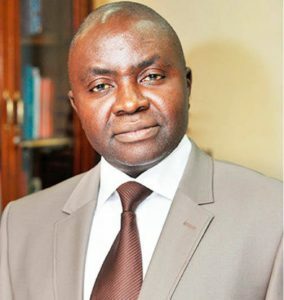 Muda Yusuf is Director General, Lagos Chamber Commerce and Industry [LCCI]. For the Chamber, the policy has resulted in high cost of motor vehicles in a country that is highly dependent on road transport. The position of the chamber was made known in a statement by its Director General, Muda Yusuf. he was was full of praises for the decision of the government to review the policy. He said the cost of vehicles has continued to rise beyond the reach of many Nigerians and corporate bodies, adding that this was having negative impact on the economy. He said, “The automobile sector was hit by the double shock of over 100 percent currency depreciation over the last five years and an import levy of 50 per cent on new cars and 25 per cent on used vehicles and commercial vehicles. This is in addition to the import duty of 20 per cent on new cars and 10 per cent on used vehicles and commercial vehicles. “The auto policy was an import substitution industrialisation strategy to reduce importation of vehicles and incentivise domestic vehicle assembly. “However, import substitution strategy thrives in the context of high domestic value addition. It is within such a framework that the economy could benefit from the inherent values of import substitution which includes backward integration, multiplier effects, conservation of foreign exchange, job creation and reduction of import bills. “The truth is that, the high cost of vehicles has taken a toll on the economy, from a logistics point of view. Practically all aspects of our economic and social lives had been negatively impacted by the situation. “This is because over 90 per cent of the country’s freight and human movements are done by road, which implies heavy dependence on cars, commercial buses and trucks. “Manufacturers and other real sector investors suffer from high cost of delivery vehicles, sharp increases in haulage cost because of the high cost of trucks; school buses have become unaffordable by many institutions; many hospitals cannot afford ambulances; many corporate organisations have drastically cut down on their fleet etc. “Car ownership is now completely beyond most of the middle class. These unintended consequences and collateral harmful effects on the economy and welfare of citizens are incalculable. “We have witnessed an increase in the price of vehicles by between 200 to 400 per cent over the last five years Not many investors and the citizens have the capacity to pay these outrageous prices. Even prosperous corporate organisations are now buying used vehicles for official use. MAN said the worst aspect of the policy was that it has encouraged smuggling leading to huge loss of revenue for the Nigerian Customs Service.